So unless you have been living under a rock for the past few months (or just do not go into toy stores, care about Legos, or know anyone with children, in which case, this post probably isn't for you), you have probably heard about the new line of Lego, Lego Friends, targeted specifically for girls. The toys are finally out in stores, and I've given them a looksee. I've also been reading the various and sundry articles that have popped up on my particular web radar on the topic. There has been quite an uproar about the new line. A lot of it from the female community. If you're unfamiliar with the Lego Friends line, it features several specific new characters and buildable playsets for those characters. The color scheme of the sets can be classified as decidedly "girly," lots of purples and pinks and such. The playsets feature a beauty shop, vet, "cool" convertible, stage, fashion design studio, dog show, cafe, and a bakery. The minifigs are not the standard Lego size. They are a bit bigger and have actual curves. In general they look more like actual people than bricks. There are no boy minifigs, just girls. I think you begin to see where some of the uproar is coming from. To be fair, there are two playsets that show some great promise to me and seem less "girly;" a nifty looking tree house and an inventor's workshop. Lego's official stance on these new sets is that they did years of marketing research to find out what girls want, and this is what their results showed was desired. They are just trying to give girls what they want. Okay. Well, on the surface, there's nothing wrong with that. Nothing at all. You can insert the obligatory argument that of course this is what girls want if this is what we keep giving them play with, but it only holds so much water. For myself, my objection isn't really to the playsets themselves. With the exception of the two I mentioned above, when I went to look at these sets, none of them really appealed to me at all. I don't really like the overall look of them. But I am not a girly girl. I tend to stay away from the swaths of pink in stores unless I know there is something specific I am looking for in that section (*cough*MyLittlePony*cough*). If my daughter wants these sets once she's old enough for them, I probably will get them for her. Right now she seems to love all things "girly" and "boyish" pretty much equally. I don't necessarily want to play with this new line of Legos, but I am not their targeted demographic, and I am not offended they exist. No, I am not offended that Lego is upgrading their line to include sets that they think girls would enjoy. I am offended that Lego is making new Legos For Girls. There are two implications here: The first is that all of the Lego lines that don't come in those shiny new pretty pink boxes aren't for girls. The second is that girls don't already play with Legos. I believe that both of those statements are undeniably false. Yet some executive somewhere got the idea that girls don't play with Legos. That executive (who, for the sake of argument, I am going to just assume is a guy) felt that, in the interest of the Lego business, this was something that needed to be rectified. Okay, well, I'm with him up to this point. If he really thinks that girls don't play with his product and he really wants them to (probably more because he wants their parents' money than out of a desire to share the joy of Lego with them, but, whatever), then that's cool. It's awesome that he wants to make a product that is accessible to everyone. Totally on board with that. So this executive then ordered years of research to find out what girls want to play with. I don't know if it was specifically asked what they want to play with in a Lego, or just what they want to play with in general. I don't know if these girls were asked what they think of the current Lego sets available and if they found them too boyish. I wonder how big their sample size was or if it was specifically girly girls who were targeted. Maybe I am not giving the executive enough credit and he does realize that some girls do play with Legos and just wanted to attract those who prefer Barbies. Either way, he did apparently decide that research was necessary, and that, too, I am okay with. I do kind of wish we could get an idea of that actual research process to know how accurate it actually was to the young female population at large. But hey, if wishes were ponies, right? Where I am not okay is with the fact that this new line brings with it a very clear segregation between "boy" Legos and "girl" Legos. The colors of the boxes are split by gender. The toys themselves are relegated to "boy" aisles and "girl" aisles in the stores. No longer can a girl stumble across a Lego set and think it looks cool and go seek out more. Now, girls will see the pink Legos next to the Barbie dolls and maybe pick them up, and then go back to that same pink aisle for more...and likely never see the really cool other sets they might also enjoy in the next aisle over. Because the toys in the pink aisle are for girls and the toys in the blue aisle are for boys. An interjection: Yes, some kids (like me, both then and now) wander through all of the aisles. Some girls don't want to conform. Some parents won't let them. But those aren't the girls that executive was aiming at when this whole thing got started. I am not trying to deny agency to children or their parents in the act of choosing out toys. I know I have some very certain ideas on things I will be buying for my daughter throughout her childhood whether she would have picked them out or not. I know she will pick out some toys I would never have otherwise considered getting her. I am quite frankly baffled that a company that has for so long been awesome and for so long had a product that I have felt truly did not care about fitting gender norms has all of a sudden decided to throw all of that out of the window. No more being a universal plaything. Now there are Legos and there are Legos For Girls. This isn't just me getting up in arms about there all of a sudden being girly additions to the existing lines. Lego is clearly separating the genders now. -The minifigs and many of the bricks for the Lego Friends line aren't compatible with the rest of the Lego pieces. The rest of the Lego sets use pretty much universally compatible bricks and minifigs. If they were really trying to get girls interested in Lego as a whole by hooking them on the more accessible girly sets, then the girly sets would be compatible with everything else. -When you open up a new Lego kit, you get a bag with a bunch of pieces and instructions on how to assemble them. Even the minifigs need to be put together. This is not the case with Lego Friends. Many of the pieces come pre-assembled and can't be taken apart. There is, flat out, less assembly available in the Lego Friends sets. -In the U.K. the Lego Club Jr. magazine has now been split, there is an edition for boys and an edition for girls. Pictures submitted of creations by girls or girls playing with Legos all go in the girls' magazine now. Even if the girl still chooses to subscribe to the boys' edition. There are no photos of girls anywhere in the boys' magazine now, telling boys also that girls don't play with Legos (and that they shouldn't want to play with the new line). 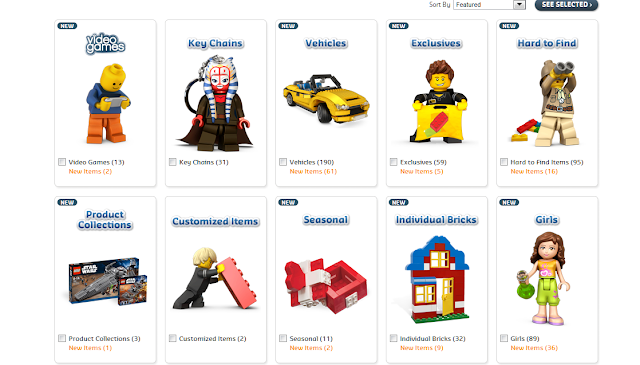 Also, compare the for girls minifig with the others. I am a geek. I love geeky things. Things like video games, books, comic books, movies, cartoons, science fiction in general, archaeology, history, taking things apart to find out how they work, attempting to put those things back together again, toys designed specifially to be taken apart and put back together again, and then put back together in an entirely different way, and so on. Lego has always fit right in there with that. But I am also a girl. Not the girliest of girls, maybe, but still a girl and totally cool with that. Except for when I have to deal with the stereotypes that girls don't do or like, well, any of the things that make up pretty much the core of who I am. I've come to notice that attitude a lot more lately as I get more involved in the worldwide geek community. It makes me angry and sad and annoyed and insulted all at once. And it exists because of things specifically like this, like what Lego has done right here with its Lego Friends line. As long as marketers keep trying to tell everyone that girls don't like these things, or that these things must be made more girly for us to enjoy them, then people are just gonna keep going on assuming that this is the case. It isn't, damn it. It isn't. Anyway. Sorry. Really trying not to rant. It is just so hard to believe that Lego dropped the ball so hard on this one. At least from my perspective. I know I am not the only one out there who sees it that way, either. I have seen many similar entries from Lego fans, parents, girls, and guys who see this issue like I see it. So I am adding my voice into the mix. Maybe if enough of us speak up, Lego will get the hint and go back to remembering their product has been loved by everyone--boys, girls, kids, grownups--for decades. Why start trying to pigeonhole us by gender now? Bottom line here: Keep your new line, but make it accessible to boys and girls. Please make future installments compatible with the rest of your toys, and allow the girls as much chance to put all the pieces together as everyone else. And for the love of Pete, please don't stick us off in our own little corner as if we should have no interest at all in the rest of what you have to offer. A concerned mother, kid at heart, and lifelong Lego fan.